The Boulder Junction Public Library Reading Garden began in 2014 with seed money granted from the Sally and Tom Bastings Family Fund of the Community Foundation of Southern Wisconsin, the Boulder Junction Community Foundation and the Friends of the Library. With the seed money, the library was able to install a textured and stained concrete patio and begin landscape work with a group of local landscapers and gardeners. Last September, top soil was delivered and garden beds were created. 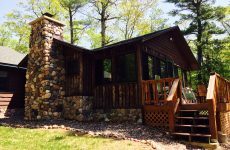 The town of Presque Isle generously donated three large boulders for the garden. And last summer, the Friends of the Boulder Junction Public Library also donated $5000 for naming rights of the new Reading Garden pergola. This summer we have begun the garden plantings. A major fundraising campaign is underway to help the library purchase the trees, shrubs, native grasses, planters and flower beds. 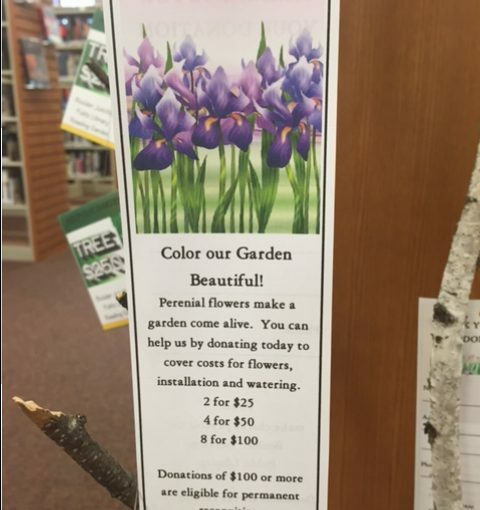 Stop in the library and pick up a “seed packet” to purchase any of these garden items. There are also memorial recognition opportunities. Permanent recognition signage will be posted in the garden for donations and memorials over $100. For more information on donations to the Reading Garden, please call Library Director, Cherie Sanderson, at 715-385-2050. Attachment: digital photo (“seedpacket”): Stop by the Boulder Junction Public Library to pick up a “seed packet” to purchase items needed for the library’s new Reading Garden. The Boulder Junction Public Library serves as the gathering place for our community, connecting residents and visitors to information, technology, education and culture in a welcoming environment. You can borrow adult and children’s books, large print books, ebooks,books on CD, DVDs, reference materials, magazines and databases. The library also provides access to more than 500,000 additional books and other materials through the automated MERLIN system. There are seven public-access computers with Microsoft Office Suite and Internet access. The library offers free wireless Internet service during regular hours and 24/7 outside the building – no password required. Adult and children’s programs are held year-round and are free to the public. Check out the library website or Facebook page for program listings.